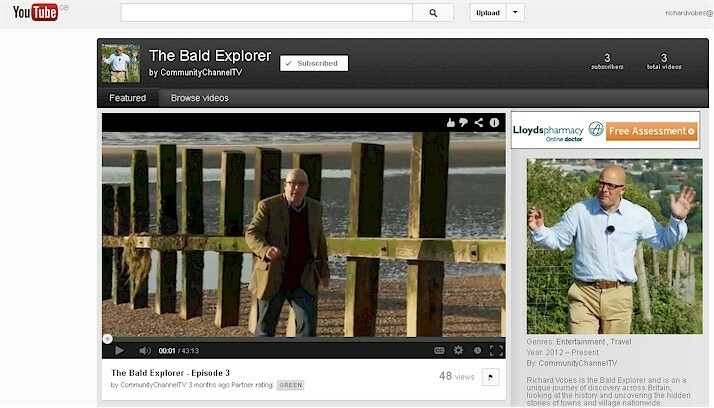 I am thrilled to announce that the Community Channel has now dedicated a special Youtube page to the shows for the Bald Explorer. It gets its own nifty url too: www.youtube.com/show/thebaldexplorer which is fabulous! The next three episodes are due to air soon on the channel and I will update you as soon as it happens.